There are really great outcomes in our new public sector agreement that a Liberal government would have never approved and would have held up indefinitely. 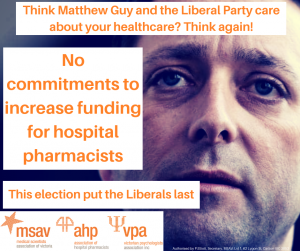 For example, improvements in annual leave entitlements, rostering protocols, backfill provisions and establishing a pharmacist leave relief pool would been opposed by a Liberal government. We’ve reviewed the health policies of the major parties at this year’s state election. In reviewing the policies, we looked at what was contained in their official platforms, their media releases and their recent statements about healthcare. We also looked at what they promised at the last election. When the LNP were last in government we saw funding for public health stagnate and we should assume this will be the case again given the LNP have not released their policy on health. Under the LNP there was no additional funding put into public health and they outsourced vital clinical services. 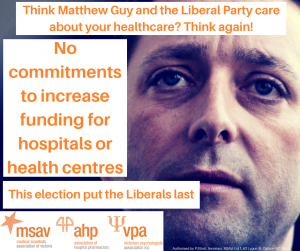 It says a lot about the LNP’s priorities when they refuse to detail how they’ll make Victorians health better but expect us to vote for them. They haven’t committed to increasing funding for public health, hospitals or community health centres; they haven’t committed to increasing funding to better deal with the mental health needs of Victorians; and they haven’t committed to increasing pharmacist numbers to handle increasing workloads, responsibilities and demands. They haven’t even committed to funding for any new hospitals either. 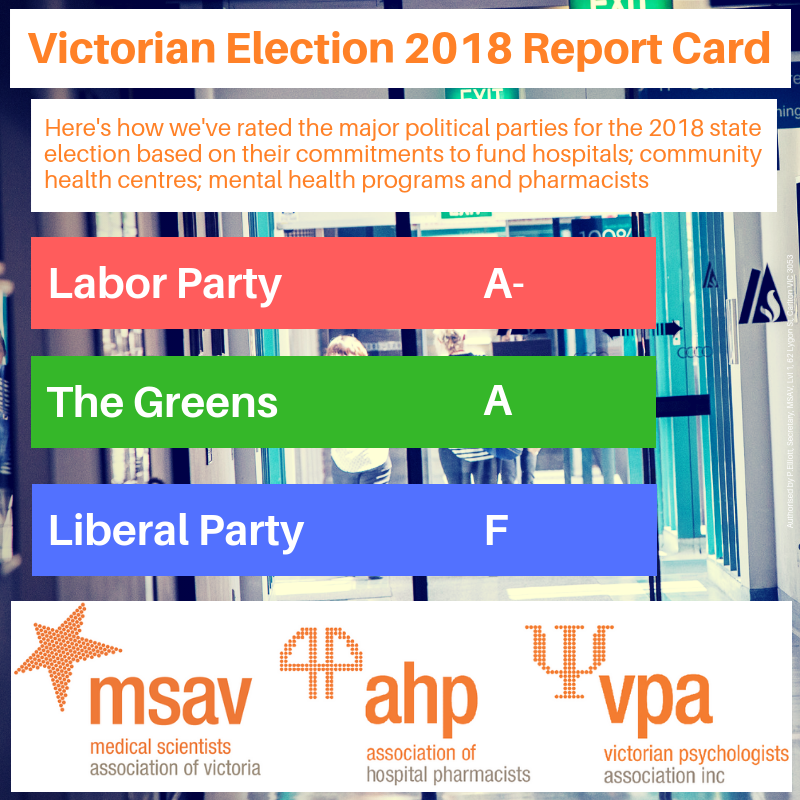 After considering the policies of the major parties for this year’s state election we’ve produced this report card. Share it with your friends and family to make sure they make health a top priority when they vote. 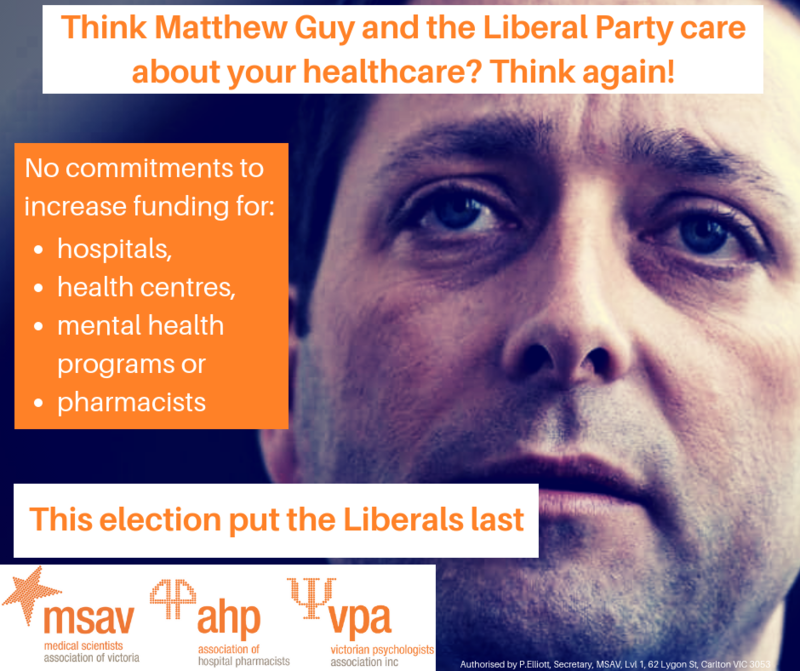 It’s absolutely vital that this election is the health election that’s why we recommend putting the Liberals last. Here are other images you can share with your friends, family and colleagues.